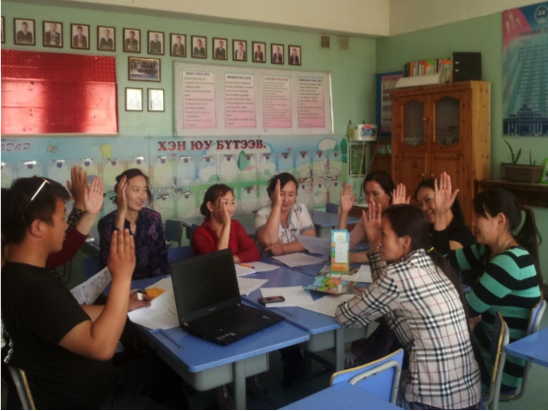 Transparency and Accountability in Mongolia Education (TAME) addresses the development challenge of providing disadvantaged ethnic minorities of Mongolia access to better education services. The Project intends to achieve this overarching objective by increasing efficiency, transparency and accountability in education procurement, organizing a Parent Teacher Association in each project soum, and promoting civic society participation in prioritizing educational initiative. The education reforms are expected to directly benefit 90% of Mongolia’s ethnic minorities who will have better access to quality education by the end of the project. In recent years, Mongolia has become one of the fastest growing economies in Asia. However, there are serious challenges, particularly in the education sector, that need to be addressed before the country can be on a sustainable economic growth path. Educational outcomes need to be improved across the board in order to prepare students with critical skills to effectively participate in the labor market. Rural areas are especially disadvantaged and suffer from disparities in access to education, particularly in geographically isolated regions. Furthermore, relevant government authorities have limited data available on education performance and budgets from provincial and district levels. capturing knowledge from implementation and lessons learned to inform education reform in Mongolia and other countries around the world. The Partnership for Transparency Fund is managing the knowledge and learning (K&L) component of this project and another GPSA supported project, i-Pantawid with partner Concerned Citizens of Abra for Good Government (CCAGG) in the Philippines. PTF and PTFA will apply their institutional experience and utilize their Advisers with wide and deep expertise to introduce global best practices and adapt them to local conditions and extract lessons from the project experiences by recording case studies, documenting best practices, and learning through monitoring and evaluation. The resulting knowledge will be shared globally to push the envelope on citizen-led good governance programing.